In 2015, when Bhushan Kumar organized ‘Suron Ke Rang’ where the entire Hindi film and music industry came together to pay tribute to his father, the music legend Gulshan Kumar, he had got the very talented composer Jeet Gangulii to compose a special song for his father. 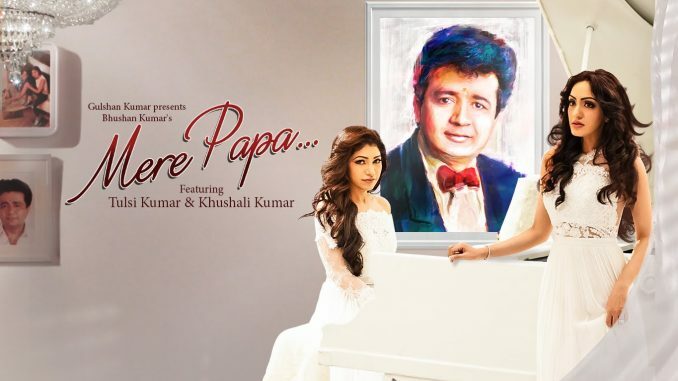 The song titled ‘Mere Papa’ was performed live by his sister Tulsi Kumar at the event and it moved everyone to tears. Such was the impact of the song that Bhushan decided to make it into a music video. The soulful song was so beautiful that it made Anil Kapoor teary eyed. Everyone at the event shared the story of their journey with the legend Shri Gulshan Kumar. Present at the event were Anil Kapoor, Sonam Kapoor, Tulsi Kumar, Khushali Kumar, Bhushan Kumar, Gulshan Kumarji’s wife Sudesh Kumariji, Krishan Kumar, composer Jeet Gangulii, lyricist Manoj Muntashir and director Rajeev Khandelwal, Ajay Kapoor, Vinod Bhanushali. Sidharth Malhotra to turn Showstopper for Kunal Rawal.